New Delhi: Finance Minister Arun Jaitley today presented his last full budget before next year's general elections. 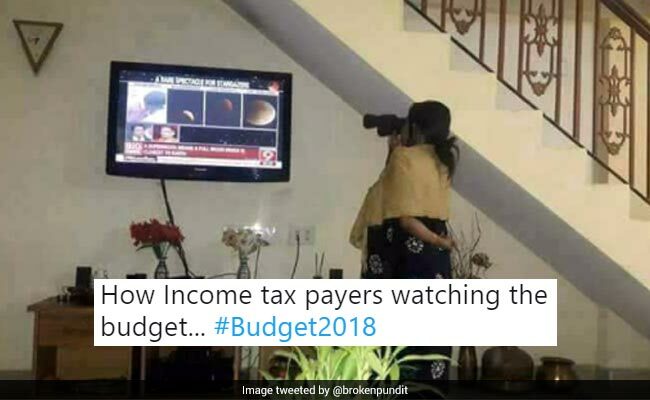 While pundits are still evaluating their verdict on the 2018 Union Budget, Twitter's real-time and instant feedback on the Budget is in, accompanied with wit and dry humour. While the Finance Minister announced a slew of new measures, it was the status quo in individual income tax rates that saw the most chatter among the keyboard warriors of Twitter. Soon after Arun Jaitley's nearly two hour speech, Twitter was imagining middle class' reaction to the Budget. You can say goodbye to your Bitcoin dreams because the Finance Minister declared the government will eliminate the use of cryptocurrencies. Hey crypto. Wasn't meant to be girl. Dad said no. Finance Minister Arun Jaitley announced no changes in income tax rates for individuals in today's budget, something which was met with disappointment on Twitter. To add to it, many were disheartened about the introduction of the new 10% long-term capital gains tax on income exceeding Rs 1 lakh from investment in stock markets and market-linked mutual funds. Still trying to decode the Budget? Here's the list of winners and losers. And if you're still tangled up in figuring out taxes, try this. If you missed the live speech, here are the highlights from Finance Minister Arun Jaitley's Budget address.